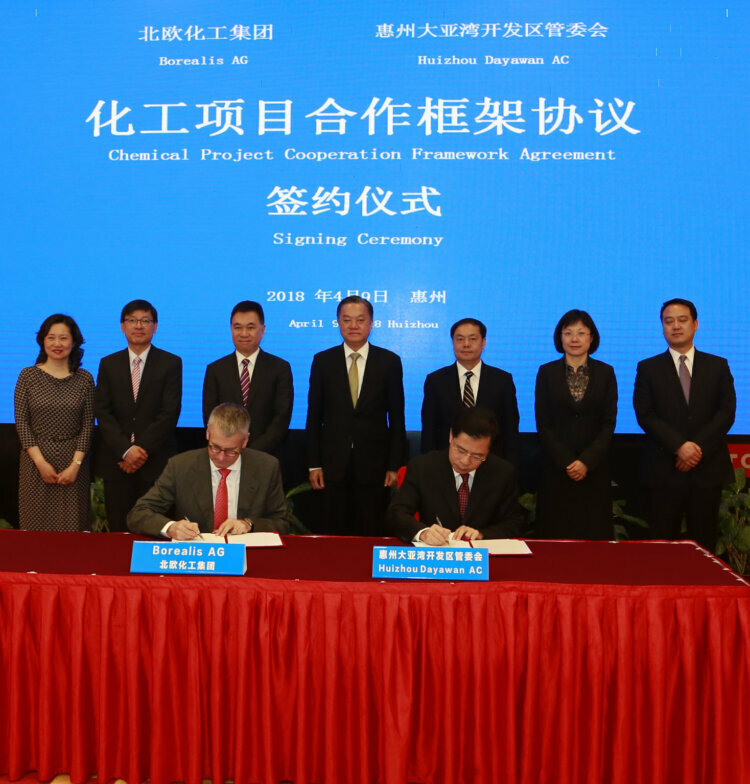 Borealis, a leading provider of innovative solutions in the fields of polyolefins, base chemicals and fertilizers, will study the feasibility to build an Ethylene Vinyl Acetate/advanced polymer asset for specialty applications in China. This potential investment would support Borealis long-term strategy to be a truly global petrochemicals company that continues to invest in major growth markets and is close to its global customers. The study will focus on the location of Dayabay, Huizhou, Guangdong - a key plastics processing market in China and one of the 7 strategic national petrochemicals parks in China in terms of growth and development. “I am very pleased to announce that we’re conducting this feasibility study, which is a strategic investment step into the world's biggest chemicals market,” says Mark Garrett, Borealis Chief Executive. “There is a strong demand for High Pressure technology based advanced materials in China that is mainly driven by Solar, Wire & Cable and other specialty applications. In terms of distribution we can capitalize on the strong Borouge marketing and sales network,” says William Yau, Borealis Senior Vice President Asia Growth. Borealis has a well-established, ongoing cooperation and dialogue with various authorities and stakeholders in Dayabay to support its growth ambitions.